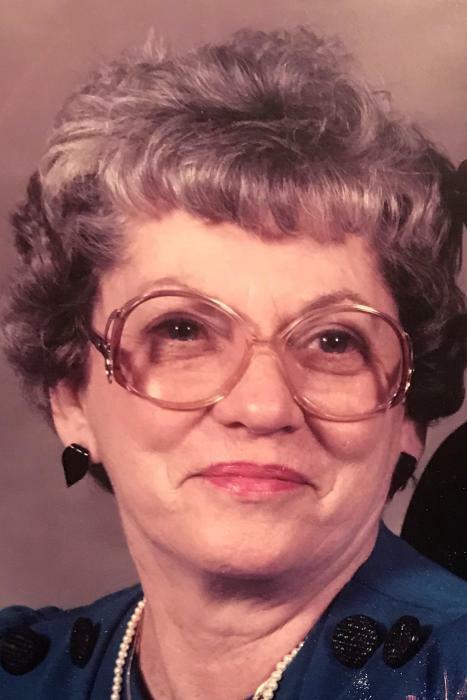 Ruth Lewis Nuesse, age 92, of Danville, Kentucky, formerly of Cincinnati, Ohio, passed away on Monday, April 8, 2019 at Charleston Health Care in Danville. Born Wednesday, February 16, 1927 in McKinney, Kentucky, she was the daughter to the late Charles and Eva Carrier Lewis. Ruth was the widow of the Robert Nuesse. Ruth was a homemaker and a member of Lockland Nazarene Church in Cincinnati. She was an excellent cook and loved to travel. Ruth leaves behind several nieces and nephews who mourn her passing. In addition to her parents and husband, Ruth was preceded in death by four brothers, Omer Lewis, Lawrence “Larry” Lewis, William Lewis and Paul Lewis; and two sisters, Alma Denham and Mary Katherine Meece. A Graveside Service will be held 11:30AM Thursday, April 11, 2019 at The Virgin Mary Chapel in The Gate of Heaven Catholic Cemetery, 11000 Montgomery Rd. Cincinnati, OH 45249. Rev. Darin Fowler will officiate the service. Burial will follow in The Gate of Heaven Catholic Cemetery. The Visitation will be held 5-7PM Wednesday, April 10, 2019 at Fox & Friend Funeral Home, Stanford, Kentucky. Bro. Vola Brown will officiate the Funeral Service at 7:00PM Wednesday at the funeral home. Raymond Dudley Lewis, Larry Lewis, Charles Brian Lewis, Jerry Denham, Glenn Lewis, Jim Denham, David Lewis and Jonathan Anderson will serve as Honorary Pallbearers.